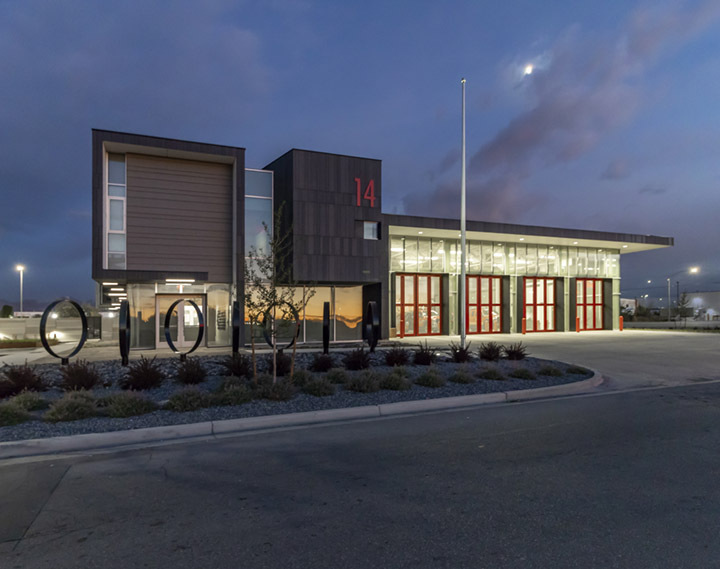 In the summer of 2016, Salt Lake City Corporation conducted a groundbreaking ceremony for construction at the new site of Fire Station 14. 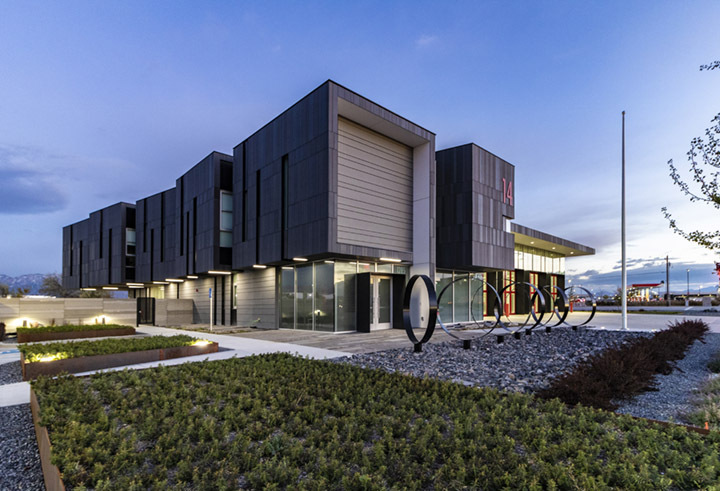 When the station opened in May 2018, it became the first LEED certified, net-zero energy, Gold fire station in the country, and is an example of the city’s continued dedication to environmental sustainability and innovative design. 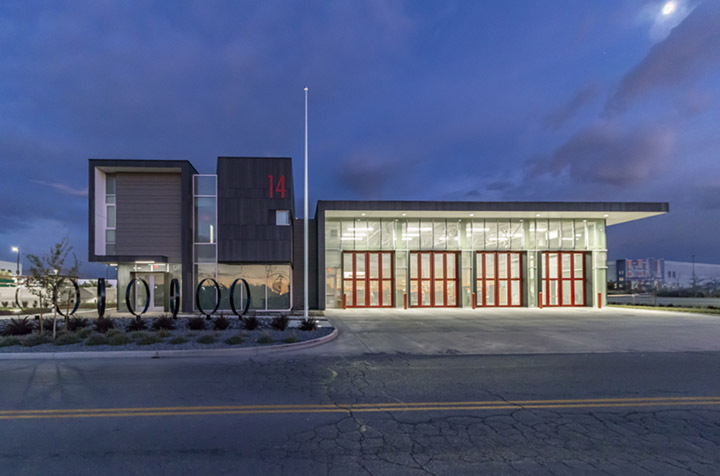 Utah-based artist duo Shelley and Rob Beishline of Tooza Design, LLC, were commissioned to create two installations for the new Fire Station. 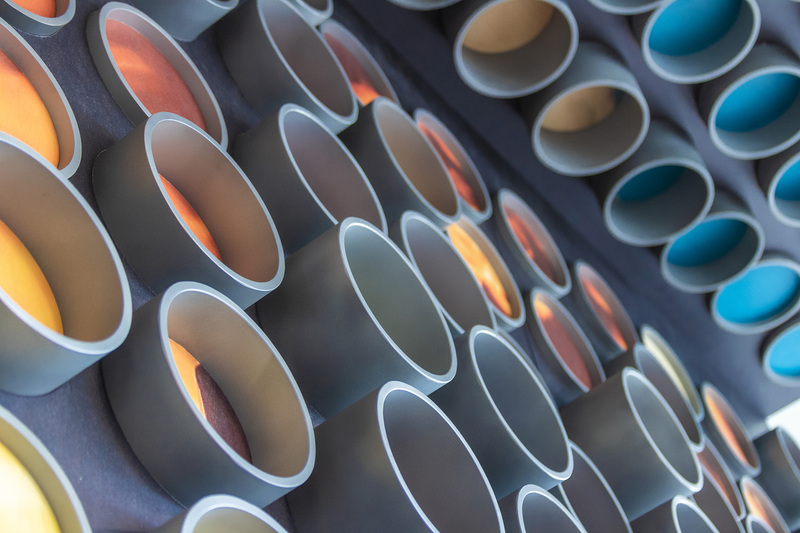 The exterior installation, Kinetic Commitment, and the interior installation, Memories in Motion, were completed and installed in Fall 2018. 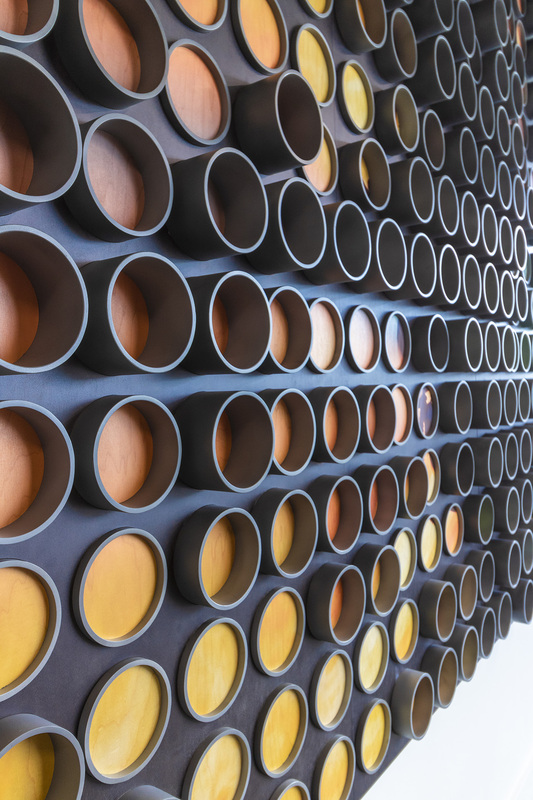 Kinetic Commitment is a series of seven steel rings, arranged in a simple pattern reminiscent of a large fire hose. The unbroken circular shapes represent the unity and teamwork required by firefighters. 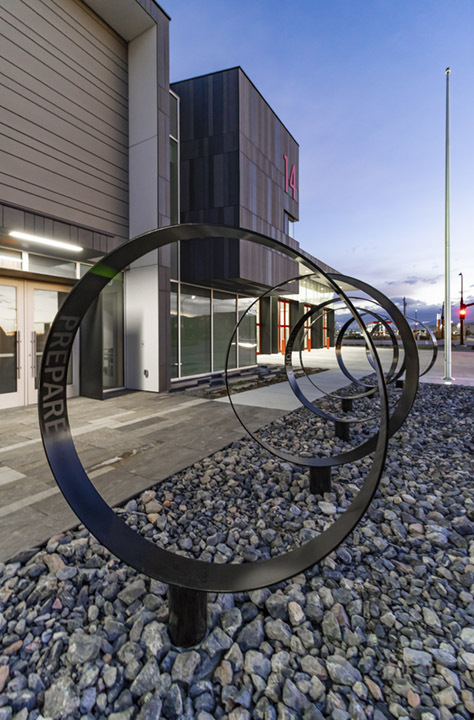 Three of the rings are inscribed with words from the Department’s mission, and are mounted to swiveling bases, providing a kinetic, constantly changing quality. 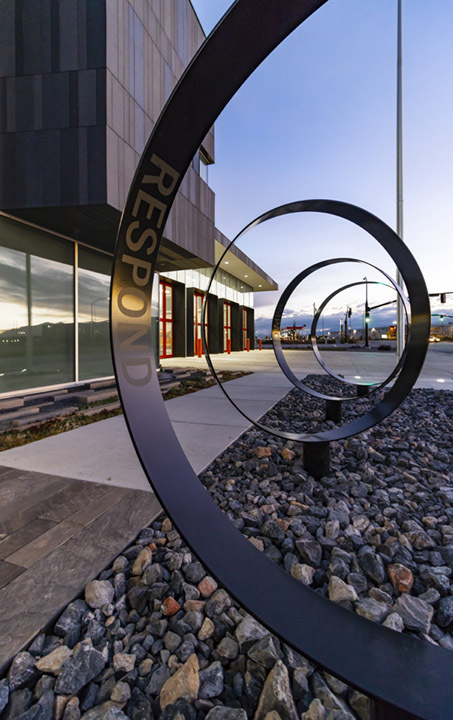 This installation represents the firefighters’ work, which is filled with movement, responsiveness, and focused direction. Memories in Motion is a series of aluminum rings, varying in depth, composed on printed wood panels. 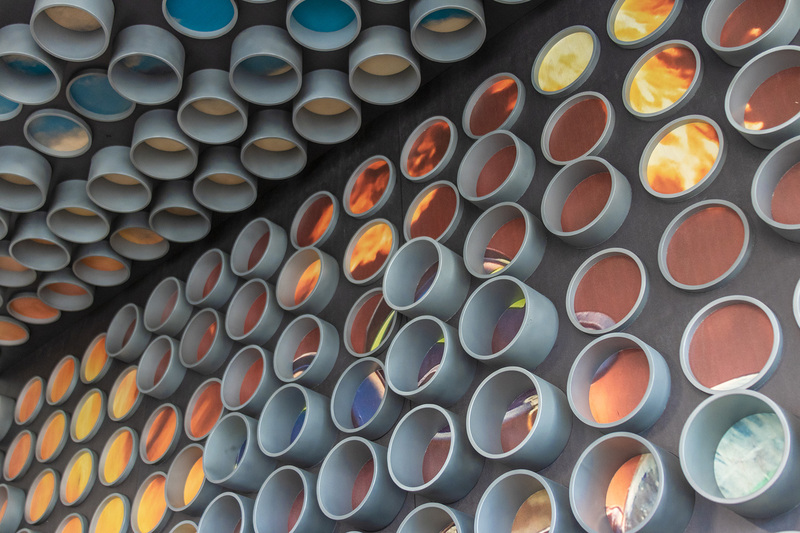 The varying depths of the rings provide a fluid and undulating feel, reinforcing the kinetic concept of the exterior installation. Inside each ring, a portion of a large image of firefighters is visible. When viewed from a distance, the entire scene is evident whereas when viewed from other angles, the rings and imagery become abstractions of color. 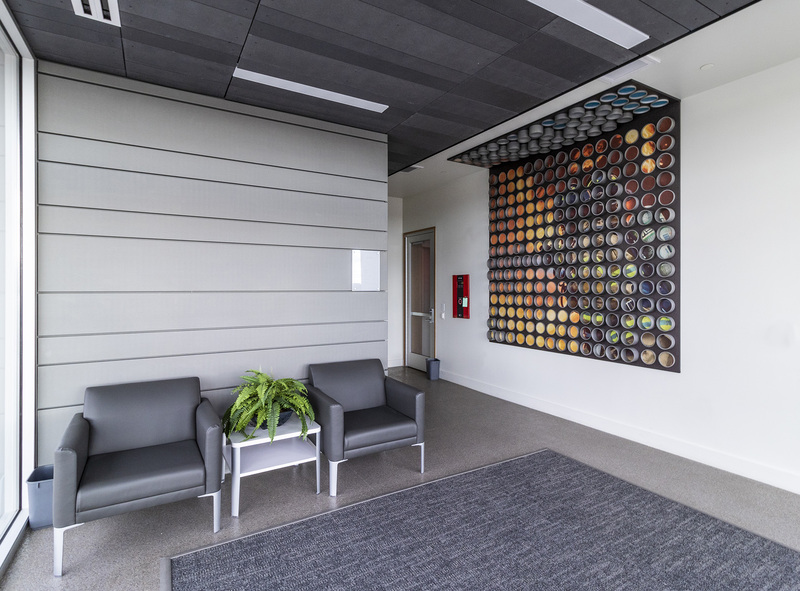 The installation serves as a starting point for Fire Station 14, allowing firefighters to place new images of their experiences within the rings, thus creating a constantly changing mural that documents the legacy and memories of the station. Kinetic Commitment, 2018, Powder Coated Steel. 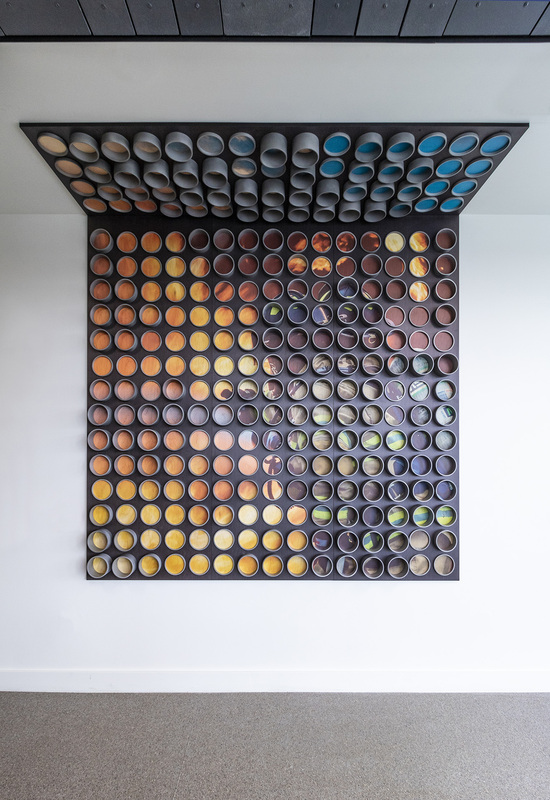 Memories in Motion, 2018, Printed Wood and Aluminum Rings. Photos by Tooza Design, LLC.